Tangelo's are a cross between a grapefruit and a tangerine. They'll grow to the size of an orange tree and are more cold hardy in zones 9-11. Important to note; the Tangelo prefers an arid climate, so be sure it is planted into well draining soils. Water once a week until it's established then every other week after that. Keep the ground around the base clear of grass. Ideally you'll want to use a mulch that's derived from yard waste. Additionally, use citrus fertilizer as soon as the new growth appears to achieve consistent growth. One of the many perks of living in Southwest Florida include growing your own oranges. 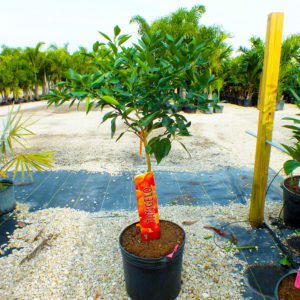 Beltran's Nursery offers the sweet orange tree in containers that are ready for planting. Originally they came from India and were brought to the United States by Spanish explorers. Citrus trees that need a lot of sun and well draining soil. Clear the grass in the area you intend to plant, dig a hole one and a half times larger than the container, and do not mulch around the base. 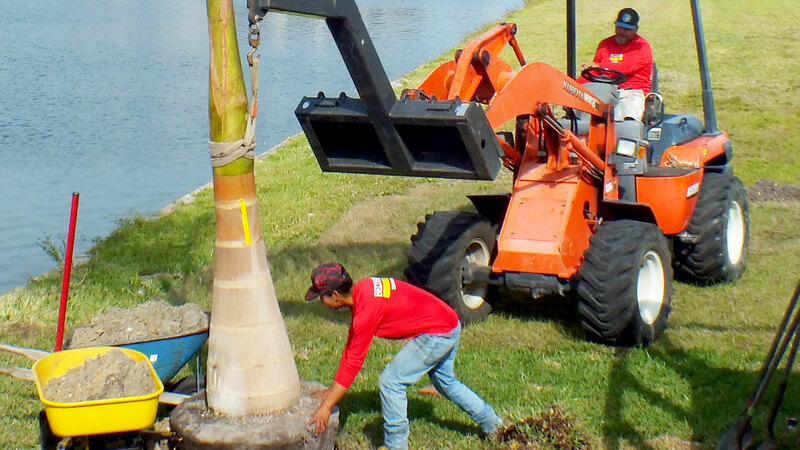 Be sure it's planted at least 15 feet from structures and other trees. 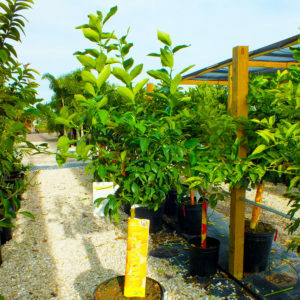 Lemon trees are made to grow in Southwest Florida. Fruit production begins when they are 3-5 years old. They'll flower when they are young but if no grow fruit grows after flowering, then your tree is still too young. You can help your young citrus tree by making sure it is provided with the correct amount of nutrients and watering schedule. 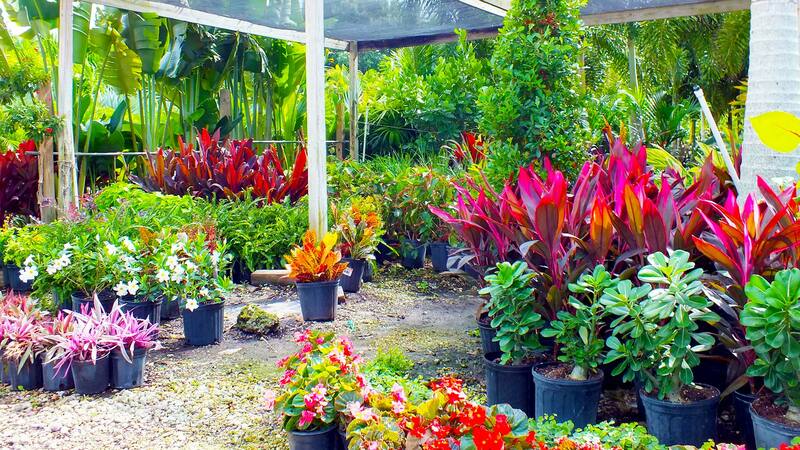 They require well drained soil, fertilization and full sunlight. The Cocktail tree is delightful because it bares multiple citrus varieties. Lemons, grapefruits, oranges, limes and tangerines! Additionally, the diversity of fruits are always a pleasant source of curiosity and conversation. 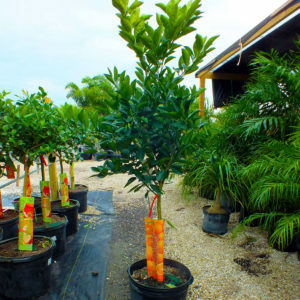 They’re ideal for growing in large pots on your lanai, which makes it simple to move them indoors if freezing temperatures are threatening your area of Charlotte or Lee counties. They can also be planted in your yard. 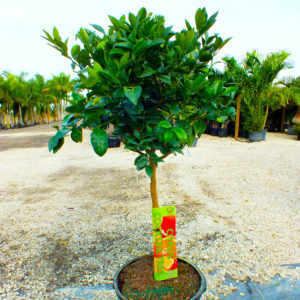 Always plant in a well draining soil, use a citrus blend fertilizer and never over water.